Hit RETURN/ENTER on your keyboard after typing in top message to type the bottom message. SKU: One kit required per tire Category: Racing Letters Tag: Same day shipping on orders placed before 2PM CST. *TredWear is not affiliated with and not sponsored by any of the tire manufacturers and these are not brand specific. Our Racing tire letter kits can be ordered to spell out any message. These are robust tire colored tire stickers that will hold up the force of a pressure washer. 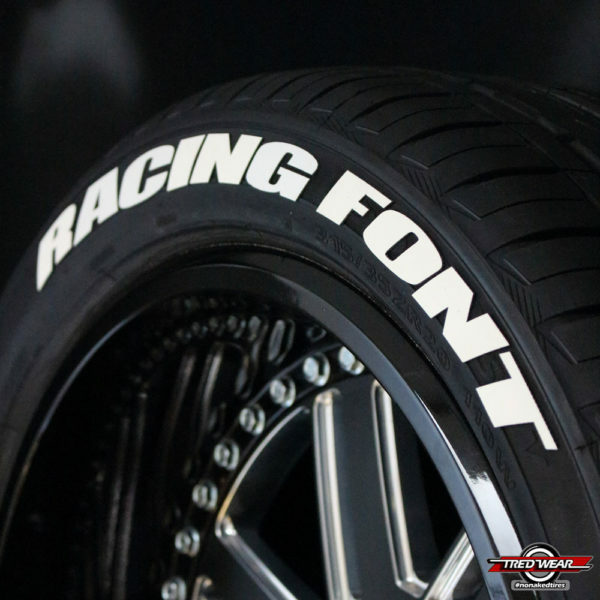 Say whatever you want spelled out in our Deluxe Racing Font. 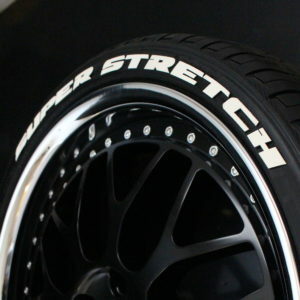 These adhere to any tire and are PERFECT to advertize that important message or WOW your friends. Use the 3/4″ size when your tire profile is too short for the 1″ tire letter kits. 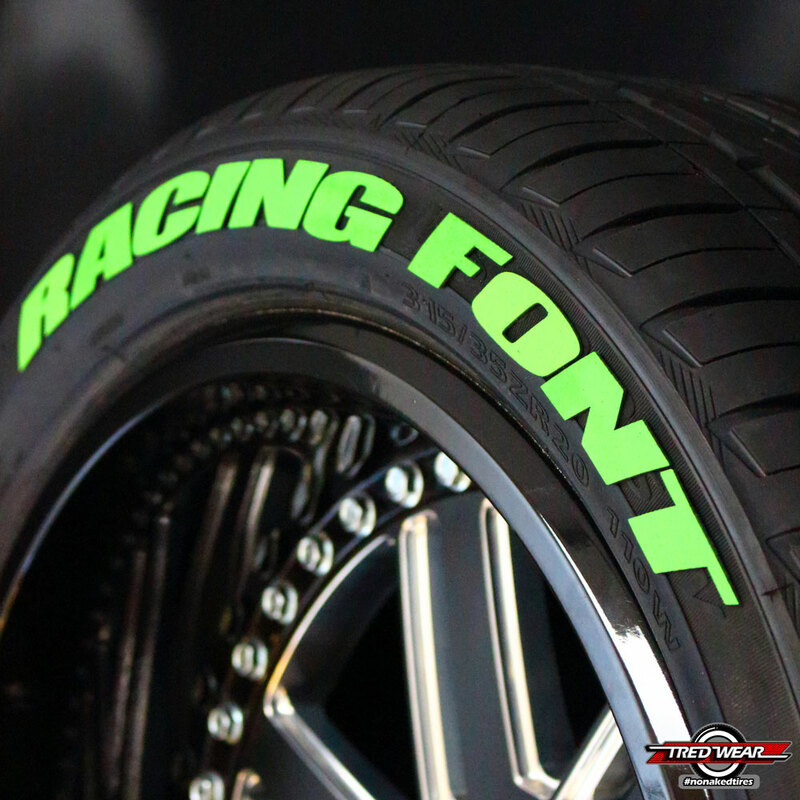 With sizes ranging from 3/4″ to 1″ for the Deluxe Racing Font, we offer the perfect way to add white letters to tires on whatever you drive. These look great on low profile tires (which are no longer made with raised white letters from the factory), or any size tire you have. Send us a picture of your car and we can even send a proof of how the letters will look on your ride. 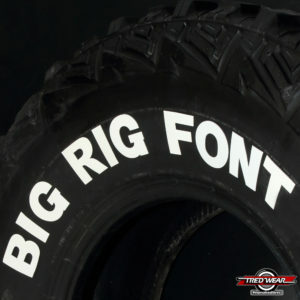 We produce the custom tire lettering kits you want based on the information you provide. Tell us the message you want to display and we will send the letters. 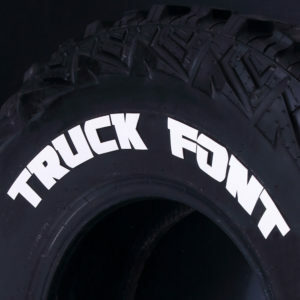 If you want to display the name of the tire on your vehicle but the black letters are not very bold then NO PROBLEM! Tredwear Letters are 1/16″ thick and are unaffected by the textures underneath. Each kit contains the individual rubber letters needed to letter your tire. Also included is the patented instant adhesive that bonds our letters to your tire. 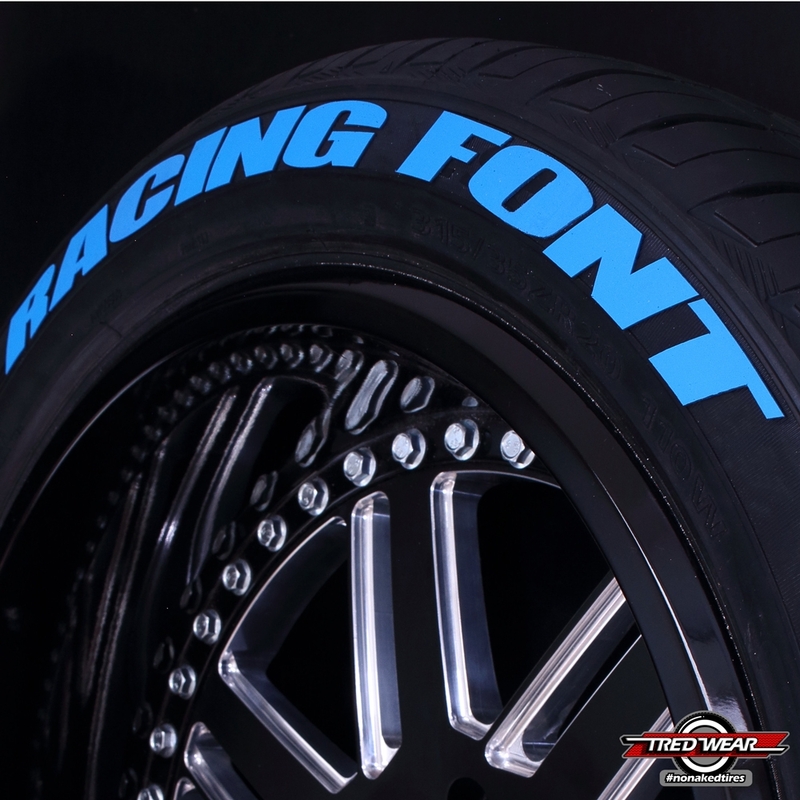 Each custom tire lettering kit will complete a single tire. 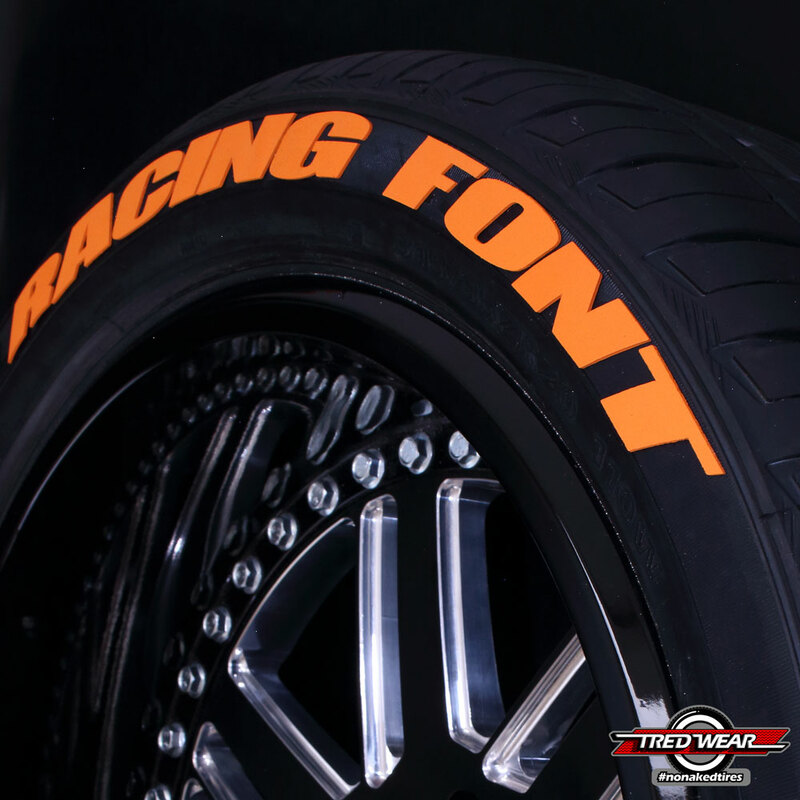 Tred Wear offers a superior alternative to tire paint pens and tire markers. 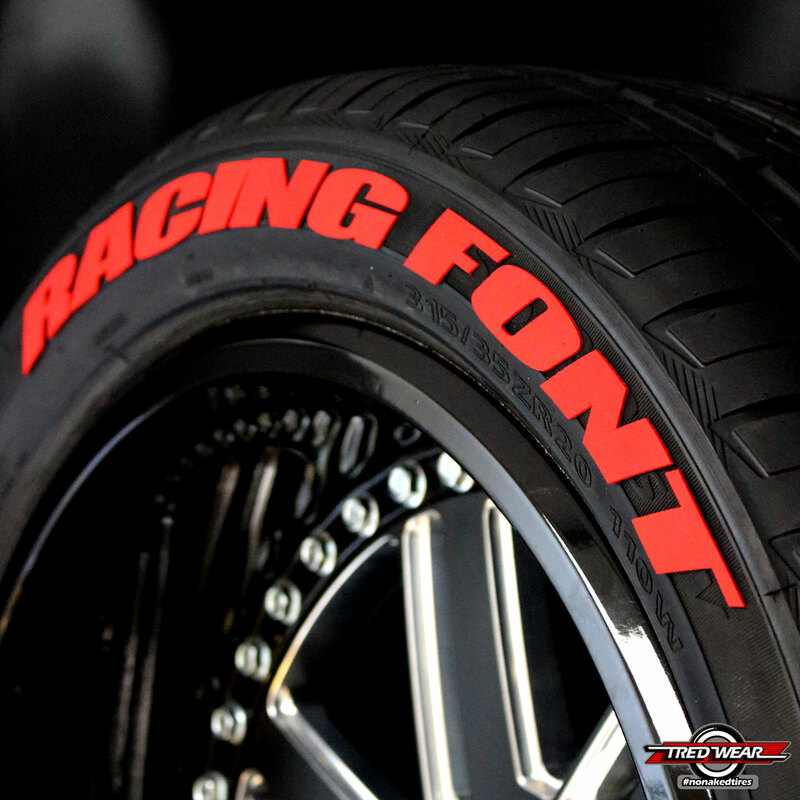 Unlike tire paint, our lettering kits will usually last the life of your tire. Please click on the “How To” tab at the top of this webpage to see our new install video for answers on proper installation. The TredWear Letter kits are made of real rubber and have thickness. 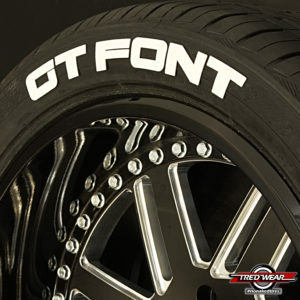 The texture on the tire will not effect them, and they have that REAL raised White letter tire look! Our custom letter kits are usually in stock and ready to ship next day.